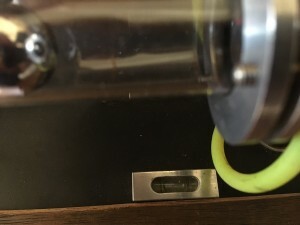 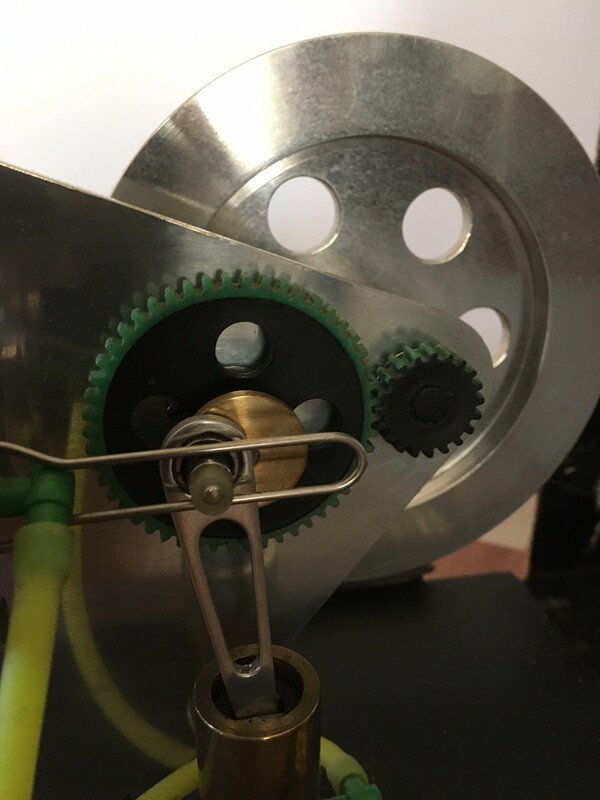 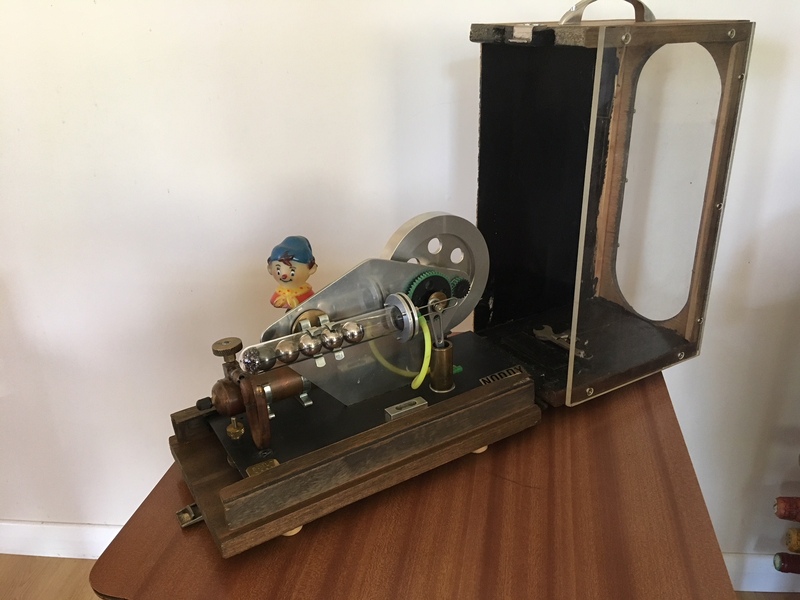 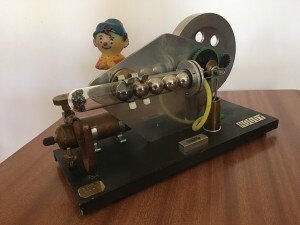 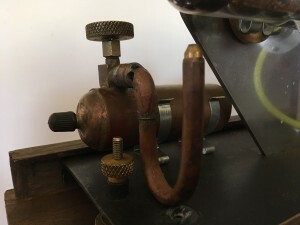 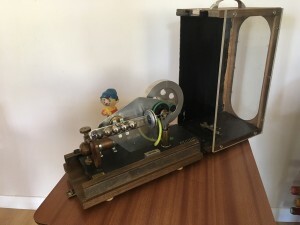 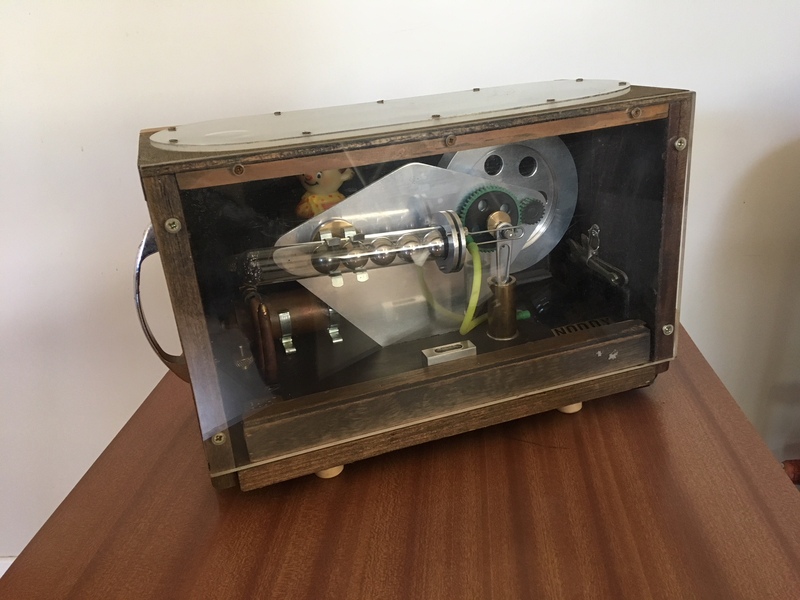 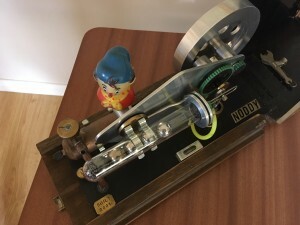 This hot air engine is similar in design to the marble type Stirling Engines, working on the principle of heating the air at the end of the test tube full of close fitting ball bearings this expands pushing the bearings down the tube and rocking the test tube on its pivot. 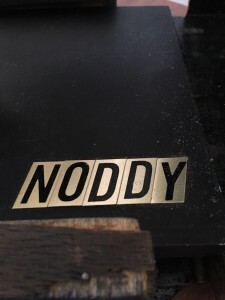 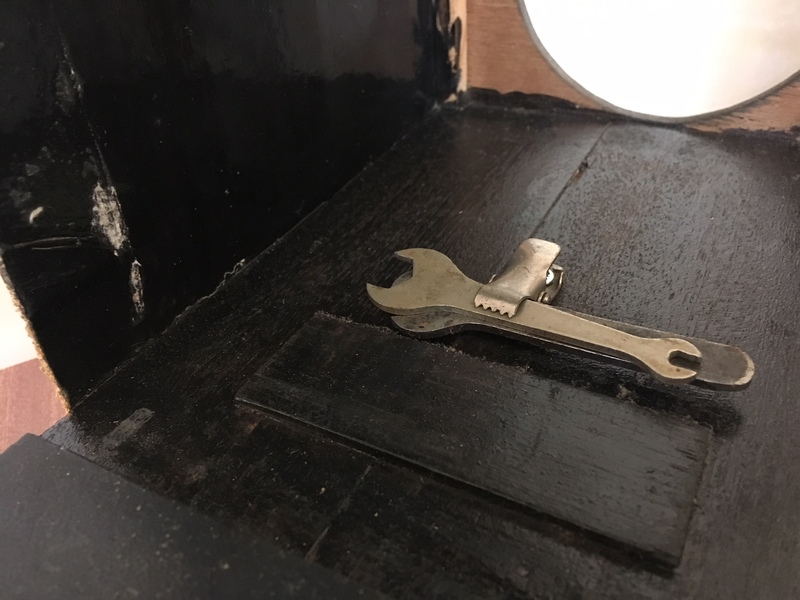 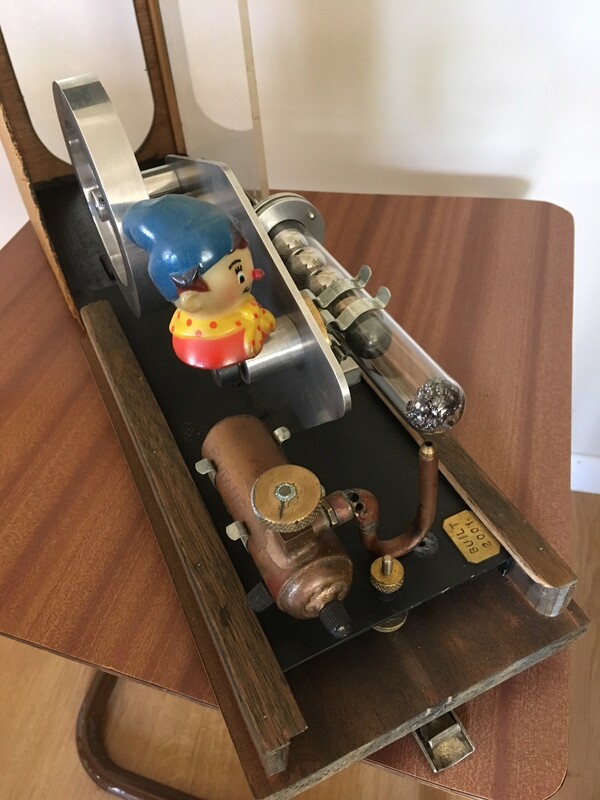 This pushes warm air through the joining tube to the cool part of the cycle which then enables the ball bearings to fall back towards the heat source and complete a cycle, hence the engines nick name of ‘NODDY’ . 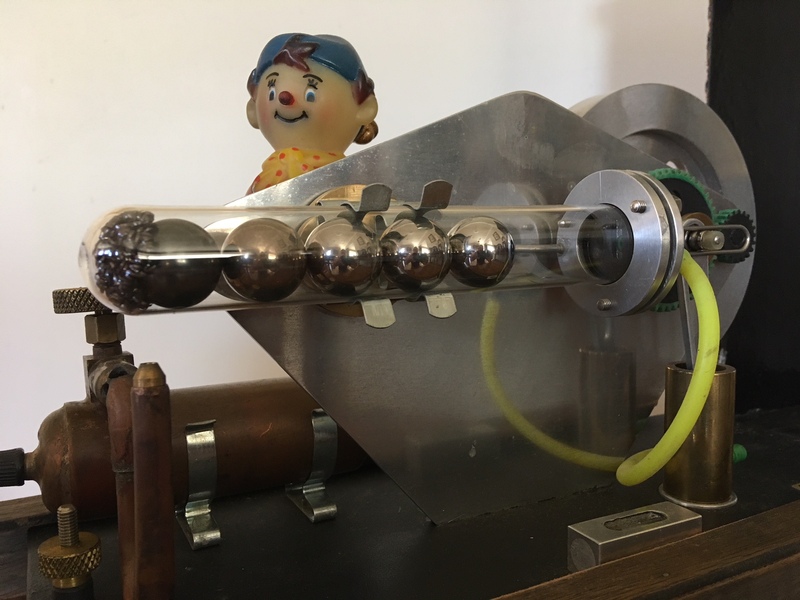 The heat source is provided by a small gas flame at the outer end of the test tube and Noddy the character is overseeing the action. 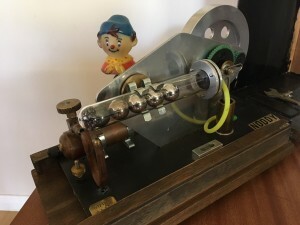 All a bit of fun but the engineering involved is quite critical. 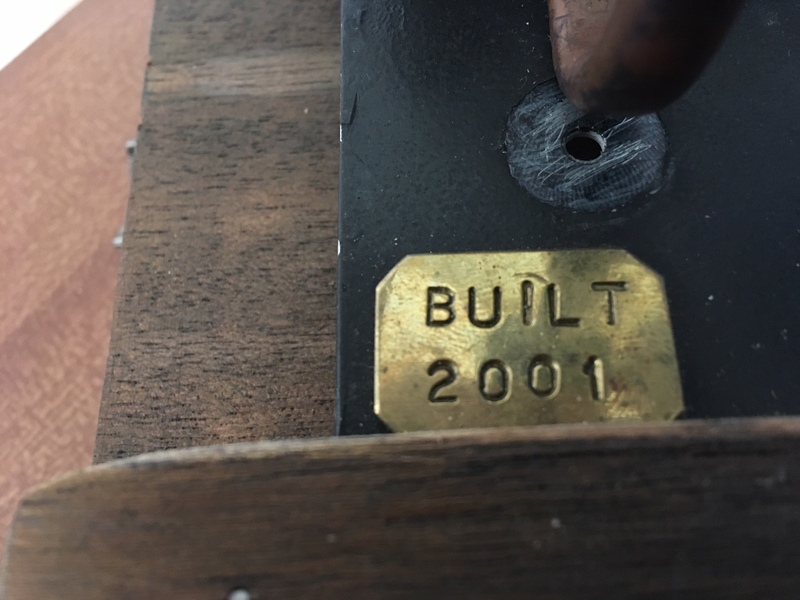 The model has its own case and was built in 2001 by Mr.R.Roebuck as another challenge to his engineering skills.